Unfortunately Prego Pasta Bar has closed for business. 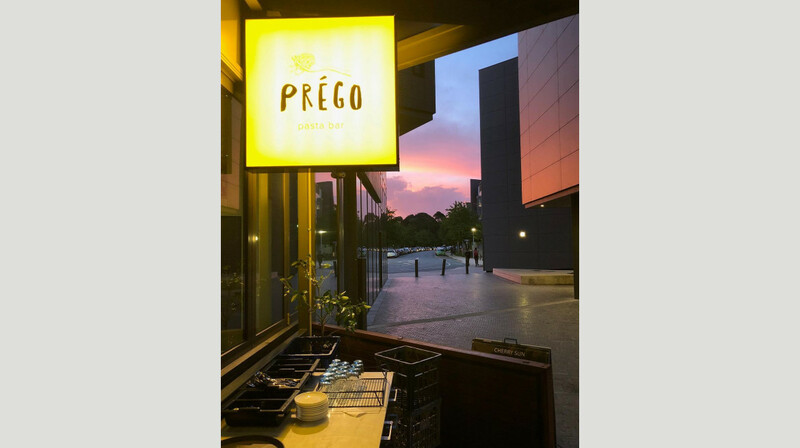 For relaxed dining in a waterfront setting you can’t beat Prego Pasta Bar, the newest addition to Canberra’s vibrant dining scene. With views over the Kingston Foreshore, its spacious terrace is just the place to soak up summer’s balmy evenings, glass of wine in hand. Inside, expect simple yet stylish interiors and knowledgeable service. The only specialist pasta bar in the city, diners are invited to pick a pasta and sauce combination, ensuring you get exactly what you fancy every time. Create a sharing feast from an excellent selection of antipasti, including battered olives, and take your pick from several mouthwatering meat and fish dishes. The pasta is the star of the show. The Prego special is a punchy combination of truffle salami, ricotta, cherry tomatoes and parsley, while creamy carbonara is made in the traditional way, with plenty of eggs and umami-rich pecorino. 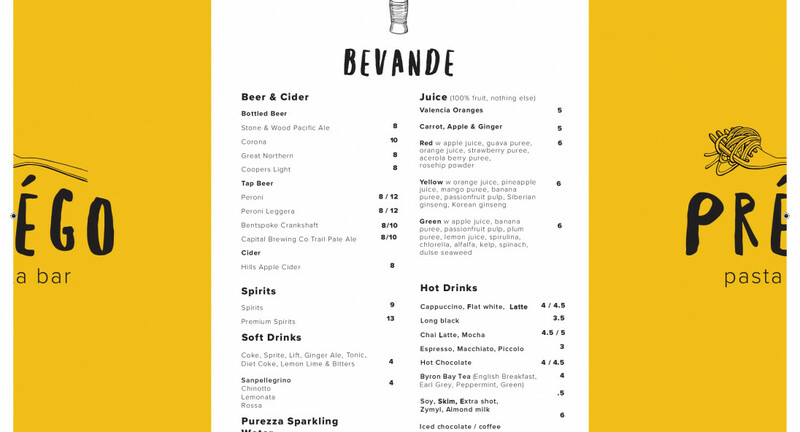 A selection of Italian beers and fine wines is the perfect companion to your meal, although designated drivers are well catered for with a selection of fresh juices. 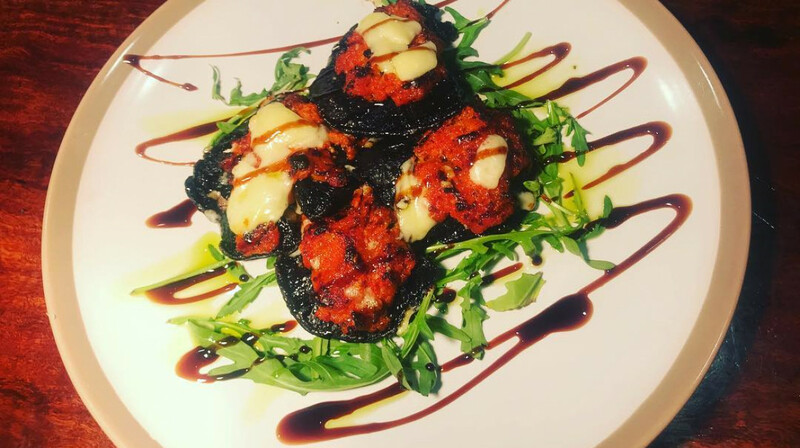 With its policy of putting the diner’s wishes first and a well thought through menu of Italian favourites, it’s no surprise that Prego Pasta Bar has already become a local favourite. Book now to guarantee your spot. Prego was awesome, they were down a couple of waitstaff but the solo lady still managed to provide some of the friendliest service we've had in a long time. Food was delicious too, will go again. Killer views over the Lake and good, honest Italian fare. Nice combination of ricotta and mint makes the stuffed courgette flowers delicious. The pasta in oil was great with just enough chilli to keep the dish intetesting but the ossobucco sauce was a little acidic and needed more work. Fab gelati, attentive service. The food and the service were both fantastic!! Food was excellent. Will be back for the home made gnocchi. Food was ordinary. The squid and filet were good, but the arancini and pasta were very bland and didnt match description. Service was quite good actually. Friendly and helpful staff - maybe could have been a bit more attentive. Beautiful food, large servings, service was quick and nothing was a hassle. Definitely will be back again. Yummy food and good service! We were First Table on busy Saturday Australia Day. The newly decorated and well located restaurant is welcoming and well spaced. We were well looked after and had helpful advice on the wine and food. We all had entrees and a main each. The entrees were extremely generous and tasty big enough to share. We loved the open kitchen; seeing and hearing the expert chefs prepare delicious food. Definitely a come back to often restaurant. On a hot, crazy busy night we could not have asked for better service and our small group will certainly return. Really loved the choices of accompanying pastas, some made in-house. Nice to see mine-host again. This was our first visit to Prego Pasta Bar. The service was excellent - very friendly staff, very quick service. The food was delicious. I ordered the eggplant entree and the veggie stack main. We will definitely be back. Authentic food, great atmosphere & engaging staff. Baby friendly and very welcoming. We had a lovely evening of wining and dining. Would defiantly go again. Great food and service!!! Cannot fault!!! The chef spoke to us at the end to seek feedback and we couldn't praise him highly enough for the wonderful meal that we had. We order 3 entrees to share; the arancini, zucchini flowers and salt and pepper squid. All were amazing. One of the best arancini dishes I've had. For mains we chose a pasta dish each; the beef ragu with the chilli fettuccine and the carbonara with the lemon linguine. Be warned...the serving sizes for both entrees and main were VERY generous. Bonus though, they do offer containers to take anything home you cannot eat. 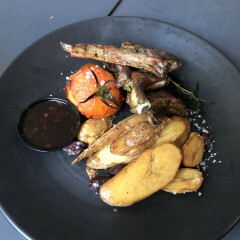 It was a great first time dining at Prego and we look forward to returning to try the same things along with the rest of the menu. The service was excellent, very attentive, nothing was too much trouble, we had the fresh gnocchi with marinara and another with the beef ragu, another marinara with the squid ink pasta and a carbonara. Large servings, the seafood was very well cooked and the ragu fell off the fork, perfect, definitely going to return. Service was good! However, although portions were generous the dishes were all non-events and generally bland. Really enjoyed our time here. The service was quick and the food was delicious! Great fresh pastas and I really liked the zucchini flowers! Nice deco. Will be going back to this restaurant. Great meal. Particularly love the Mushroom Entrée and their awesome Garlic Bread. 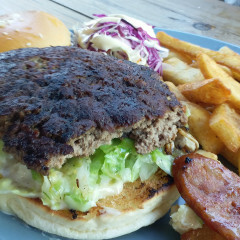 Friendly attentive service, meals served very quickly, very tasty. Too full for dessert, will have to visit again! Fantastic meal and staff. We celebrated 3 birthdays and the atmosphere was great. Sat outside and it was clean,inviting and modern. our meals were tasty and visually appealing. Loved the service and will be back again. Food was really tasty with good portion sizes. Staff extremely friendly and we weren't hurried along in any way. Did I say the staff were extremely nice, as they really were. Tasty food, great location and service. Would go here again. All of us were very happy with our amazing pasta dishes ! and parsley fettuccine and black ink spaghetti ) the sauces were amazing too - 1) beef ragu, 2) anchovies, 3) truffle salami and 4) chicken w sundried tomatoes! Delicious fresh pasta, must try the entrees! Our first visit to Prego had fantastic, flavoursome food with attentive, quick and friendly service and an idyllic waterfront location. We started with Trio of breads and spreads, then fresh pasta and sauce - Lemon and parsley linguine with pesto, Chiili Fettuccine with Pollo and Ravioli with battered anchovies - definitely the best pasta we've had in a long time. Finished off with dessert - pannacotta and mars bar cheesecake. Highly recommend. Pleasant venue - perfect for a balmy summer evening. Both the service and the food at Prego Pasta bar were awesome. The fillet mignion was cooked to perfection and tasted amazing. Staff were friendly and attentive but not imposing. Sitting outside looking at the water on a beautiful night eating amazing food with friends. What more could anyone ask for. Prego is one of my new favorite places to eat. My friend and I each had the fish of the day (grilled swordfish steak) with chips and Greek salad and thoroughly enjoyed it. It was a large swordfish steak, beautifully cooked, the chips were chunky, a bit Greek style along with the Greek salad. Good service, food reasonable. We only had pasta though. Garlic Bread beautiful! Fabulous authentic Italian feast! Highly recommended! Very family friendly too! Small menu with thought & care in providing good honest pasta with small range of seafood and steak as an alternative to pasta. Service was welcoming, friendly and prompt making the dinner enjoyable. Would make it first preference for dinner when back in Canberra. My new favourite Italian place in Canberra!! I was piqued to try here because they do a traditional carbonara (no cream) on fresh pasta... but WOW! Everything was pretty delicious. Primo: The fried olives are fantastic, the bruschetta fresh and zingy, the eggplant and mozzarella good (a little oily and needed a little salt). Second: 4 pastas - carbonara, pumpkin pesto risotto, Gorgonzola, and the prawn with chili. All so so good, and the 4 of us just kept tasting one another’s, our mouths having the best tasting journey! 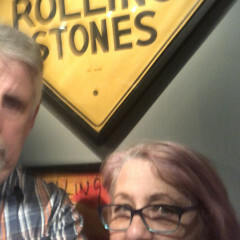 The decor was great. SERVICE! The host was fantastic. For a new restaurant, some of the staff are very junior, but the Host and experienced staff made up for it. Affogato not on the menu, but they made them for us to complete our night. Will be back!!! !